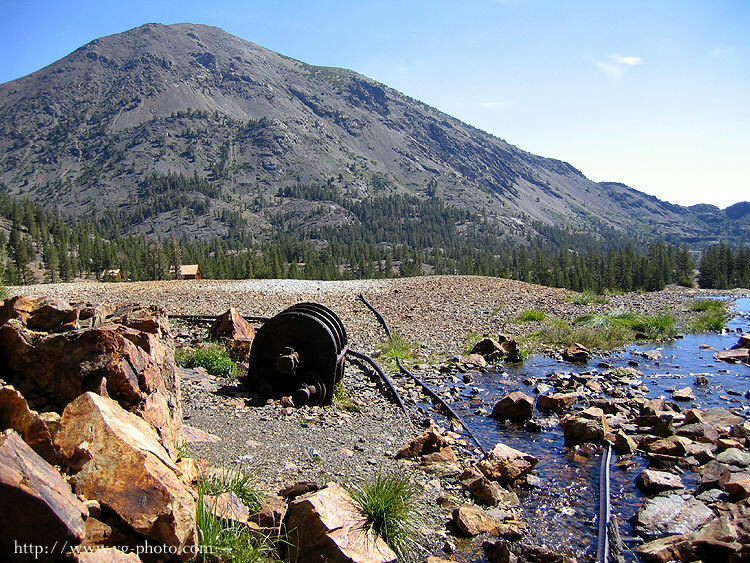 Up at the top of the Tioga pass, not far from the 395 is what is left of the Bennetville Mine. 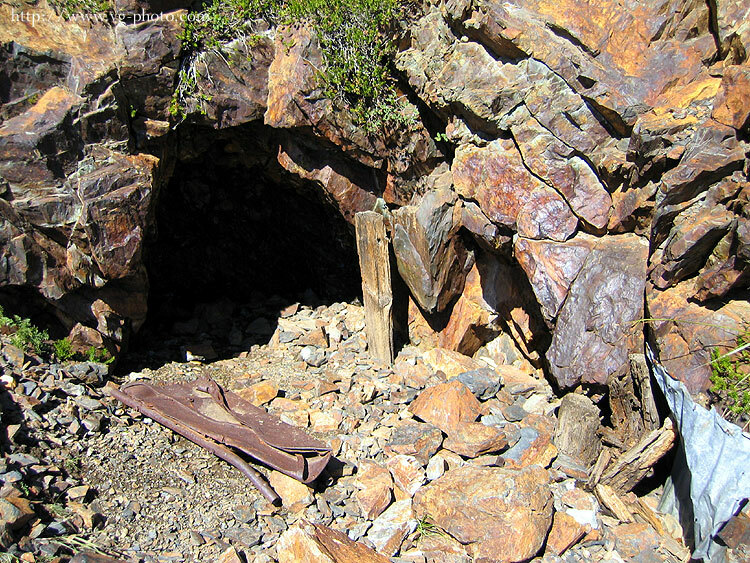 It was a speculative venture that never produced any gold or silver ore, though at least three different companies tried. 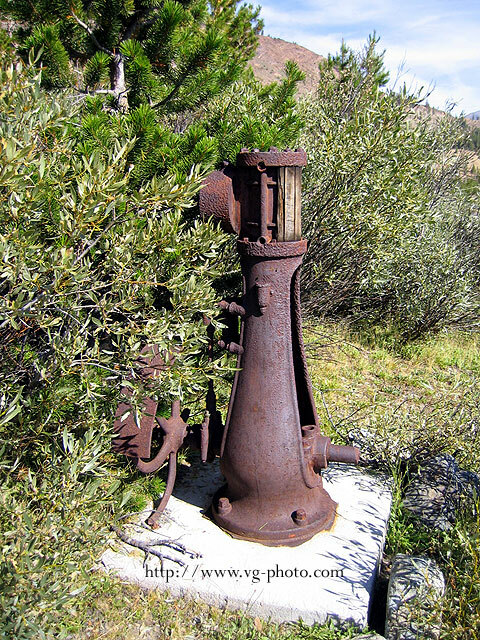 If you have a good map, it is easy to find, although the trailhead can be a little elusive. 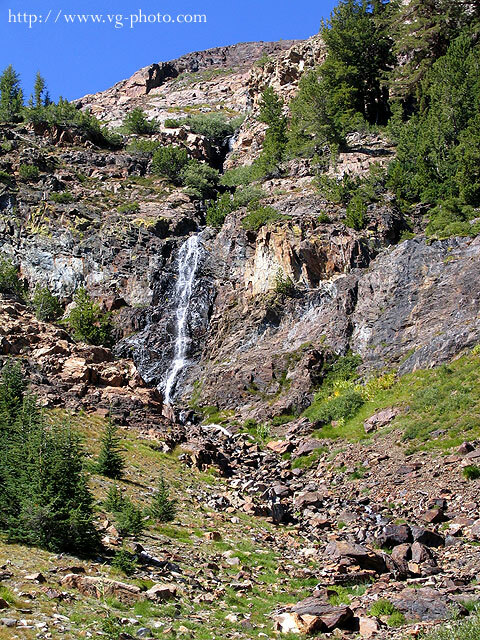 It's about a 1 mile hike off of the road and it is a fairly easy hike. This is something that marks the trailhead, although in the summer, when the brush grows, it may be easy to miss. 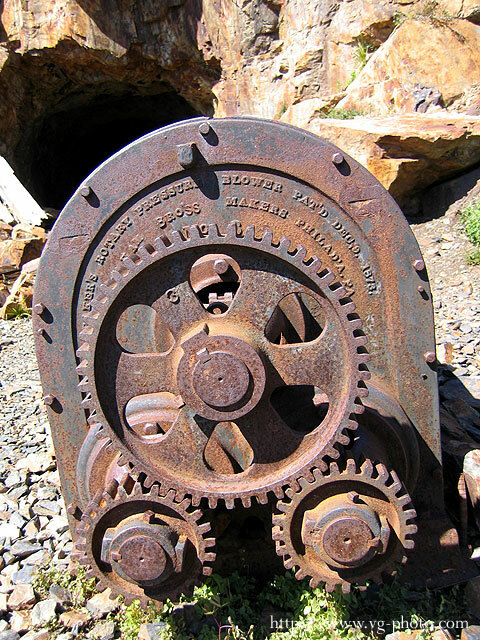 This is a piece of equipment used for as part of the mining operations. 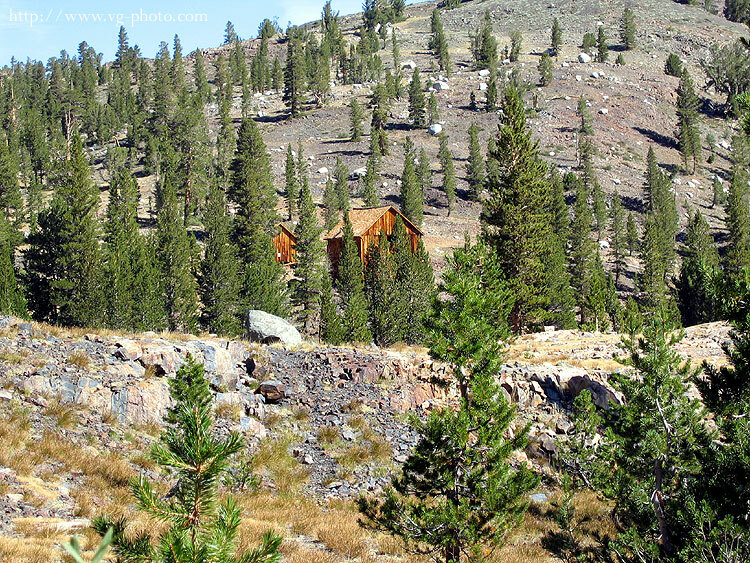 As you get close, from the trail looking right, you will see a couple of the old miner's cabins, rebuilt by the Forest Service. Looking ahead and a bit to the left are the telltale signs of a tailings pile. 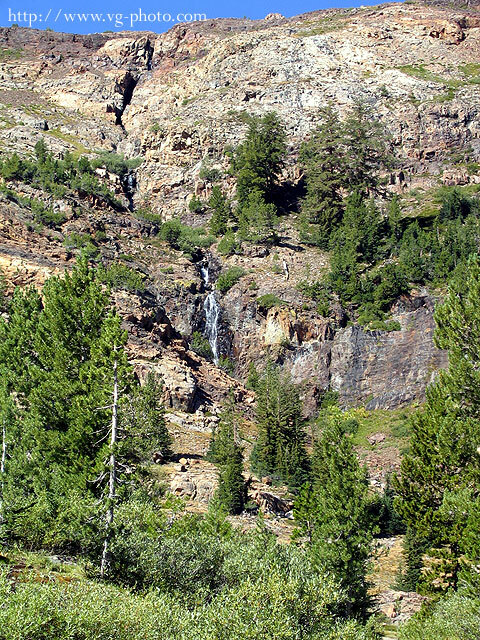 As the trail winds around, you will pass a pretty waterfall. 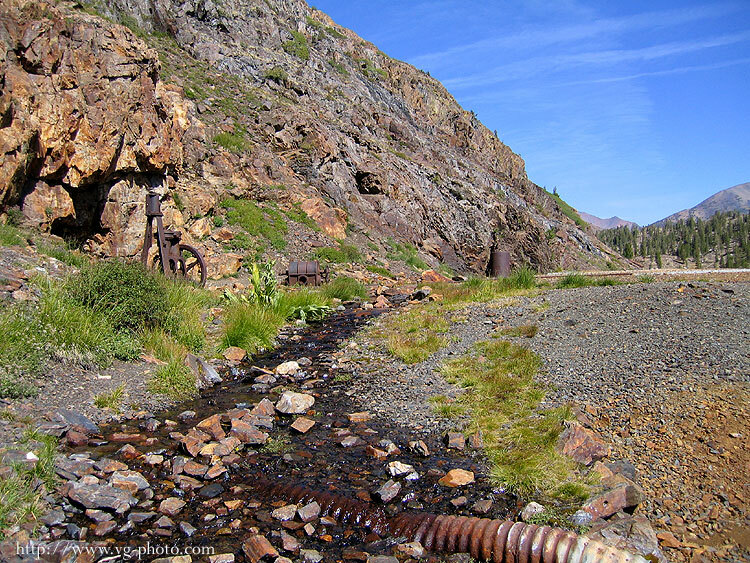 This water leads to a nearby stream where they probably got their water for the mining operations. 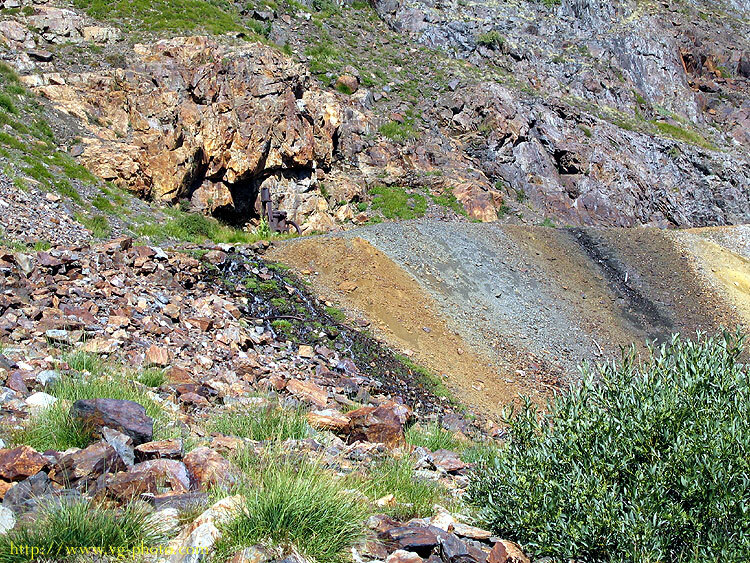 A steady stream of water flows from the mine adit (shaft). Probably the result of snow melt above seeping through the rocks. No matter how hot it is outside, stepping to the mouth of the adit is like natures air conditioner. 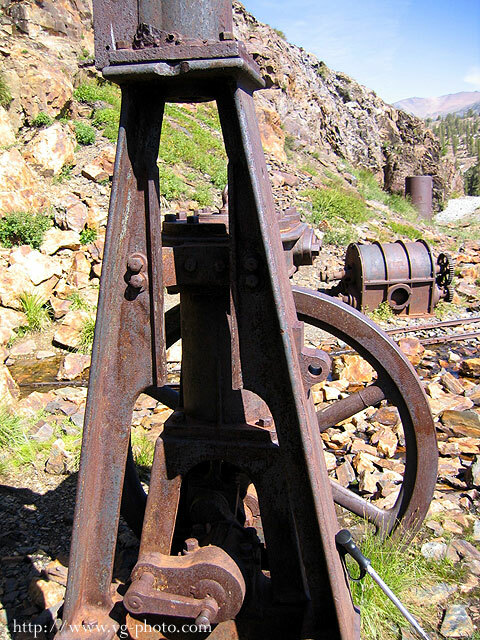 Note the wood in the water in the shaft. Those are what is left of the support timbers. Not a good idea to go in there with no support timbers in place. Not to mention the water is about ankle deep and very cold. 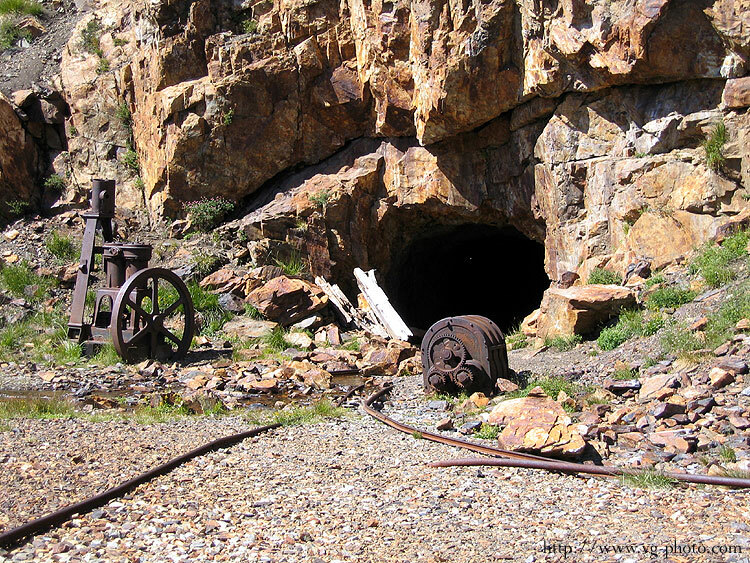 This appears to be a ventilation shaft as it is much smaller than the mine shaft itself. 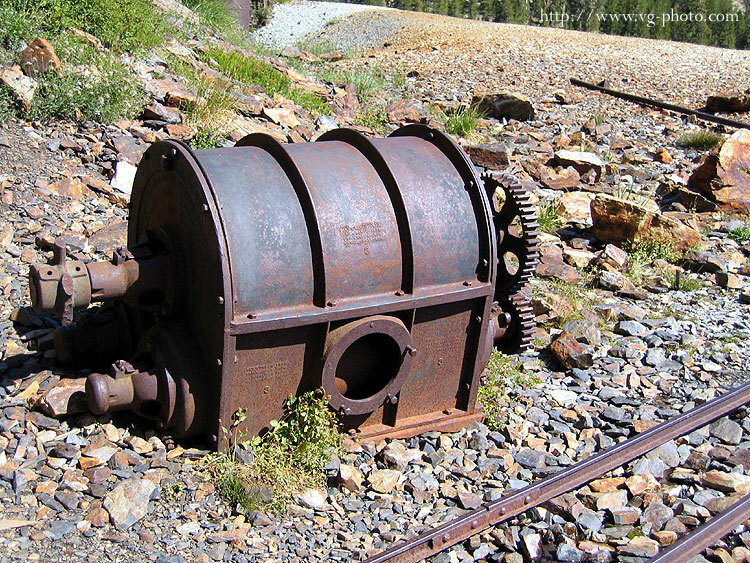 A 2 stamp mill and some of the other equipment sits where it was abandoned many years ago. This is the view from the adit. 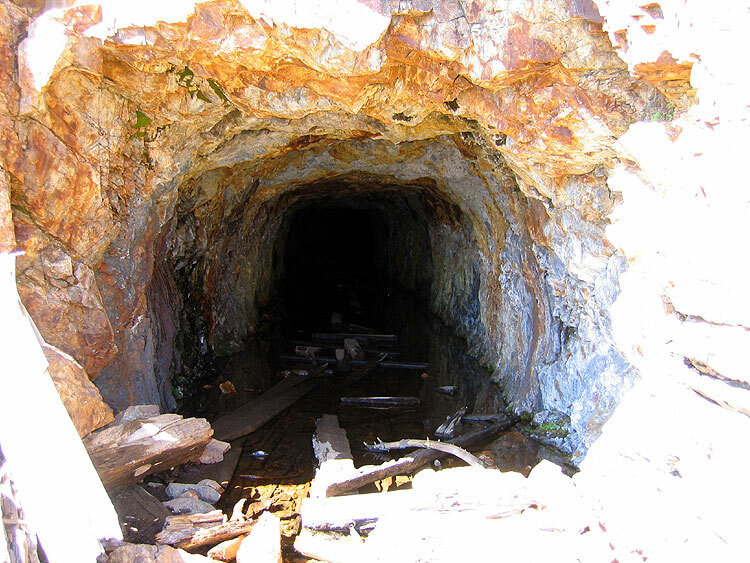 This is what a miner would be seeing after a long day or night in the mine. It is a beautiful view.